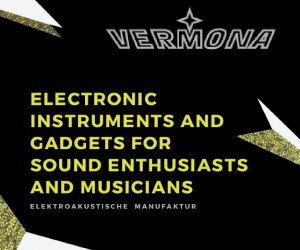 The KOMA Elektronik Field Kit is one of the most inspiring sound tools we have seen in the past few months, a sort of egg of Columbus for all those who would like to experiment with electroacoustic sound. 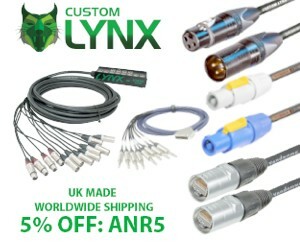 Not only it allows you to use everyday objects, amplify them and use them to make sound, but it handles radio signals and can work with your CV-based instruments and effects too! While the Field Kit easily lends itself to drones and noises, it can also be a great sound-design tool in a more ‘musical’ context. Having been fascinated by his YouTube videos, we decided to ask Hainbach – one of the early and most brilliant adopters of the Field Kit – to tell us more about his work with the Field Kit and share some tips with our readers. You’ll find more info about Hainbach at the bottom of this article. Can you tell us what was your first reaction to the Field Kit and how you integrated it into your setup? My first reaction was joy – I picked it up at a party at Koma’s headquarters in person, I was an early backer. I hooked it up on the kitchen table the next morning and made some noisy solenoid marble groove stuff, while the coffee was brewing and the kids played around me. 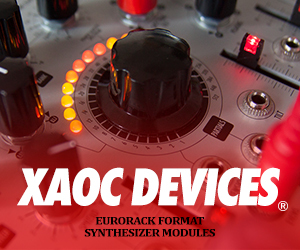 I have a bunch of experience with modular, motors and electro-acoustic works. 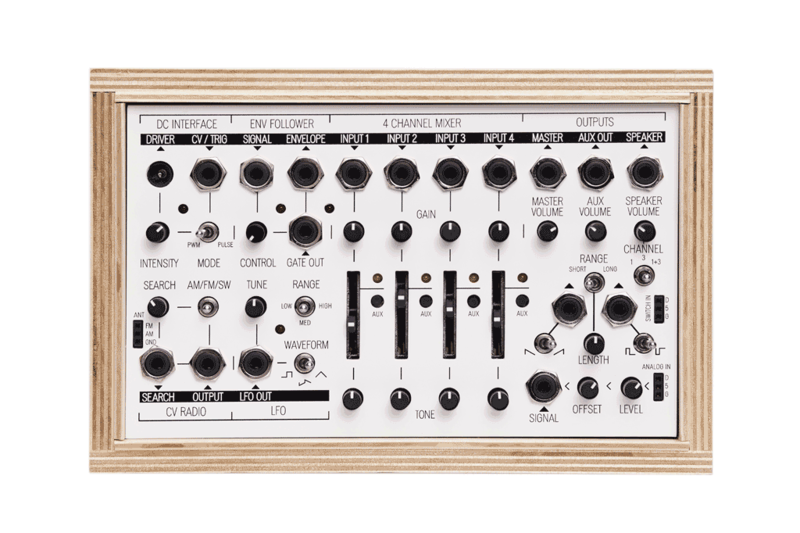 I bought the first Bastl Eurorack motor systems for a theater performance. I also used a Gieskes modded Walkman in my Eurorack and the Radio in the OP1. Having all these tools condensed in one together with a bag of piezo, motors and marbles it felt like getting my first Lego Technik kit as a kid. I now have an EHX pedal bag with the Field Kit, tape players and FX, which I use for scoring, live and DJ sets. Koma provides a helpful manual, featuring 50 Ways to Use the Field Kit. If you would have to suggest 1 more way, based on your first few months with the device, what would that be? In your videos, you often have one or more tape players running. What’s the conceptual/preparation work for these tapes, and what kind of sources you generally use? Among the various items you use with the Field Kit there is a modded Walkman (the mod can be found here and DIY fans can read more here). 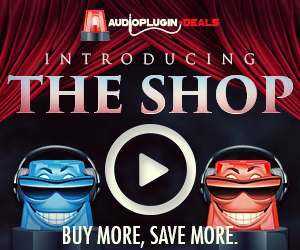 Tell us more about what this mod allows you to achieve from a musical point of view. Would you have other suggestions for those people that can’t get a modded walkman? I can use the Field Kit to varispeed and CV control the modded Walkman. It sounds very different from the Marantz PMD I also use for pitching tape. The Marantz is thick and heavy, the Walkman noisy, thin and warbly. Both colors complement each other, especially if you EQ them with the Big Muff-like tone control of the Field Kit. Have a look at Scott Campbell’s instruments if you are looking for something tape and instantly satisfactory. For those who are new to this kind of devices and techniques, would you recommend the Field Kit expansion pack sold by Koma or would you rather suggest some different accessories? I love the expansion pack! It’s well thought out and fun to use. The piezo are ready for underwater sounds, which is a plus. I have not explored sensors with the field kit yet, that is something for the future. 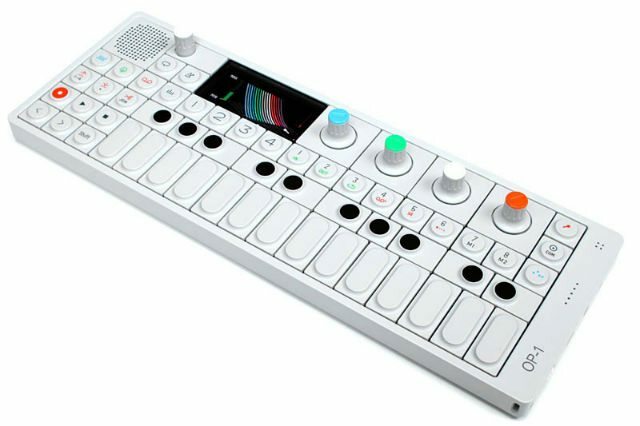 It looks like you’re a fan of the OP-1 (like us after all, here’s our take on the Teenage Engineering OP-1). What are its features you use the most, in this context? Any tips you would like to share with our readers? The OP-1 is a super Casio SK1 for me. I have a whole lot of samples from my work with a 24 piece orchestra on there, which I treated in various ways in the OP-1 and before putting them on there. I made some string sounds with it that sound so good, at least to me, that it feels like cheating to use them. My tip would be to embrace the quirks of this machine and follow it where it leads you. It has a mind and sound of its own. The Field Kit is clearly a winner. Can you think of another device that is still missing from the market and could prove to be inspiring for adventurous musicians like you? Luckily, there are tiny lunch boxes now like this one, so it’s possible to make any imaginable box yourself with a screwdriver and a credit card. Though if someone made a stereo standalone filter box that is based on the Serge Resonant EQ but also has 12 dB sweepable hi and lo pass filters and lots of CV ins in a nice flat case I would be very happy. Speaking of your sound, it seems to live in a wobbly, drifting and haunting space. Where does your fascination for these aesthetic values come from? In my ambient works, I think I am going back to the music I did when I was 15 sonically. I had a portable tape recorder with an internal mic, the family piano and a radio. I turned the radio dial to the left until I had all these FM bleeps and white noise and played the piano in reaction to them. Back then warble and echo was no choice, it was just the way of things. I was happy when I got my first DAW, the clarity! Now the qualities of especially the worst new tapes and threadbare walkmen are welcome. They add a finished quality that takes a lot of work to get right in the legos of DAWs. That said, in my more rhythm orientated pieces I use a high-end Telefunken M15 tape machine to preserve the punch and impact of the modular. Each tape machine has its own merits, for example I use my Nagra III for scoring theatre plays and producing other peoples music. It sounds so heavy when pitched down, no cassette player can compete with the sheer quality of tone. 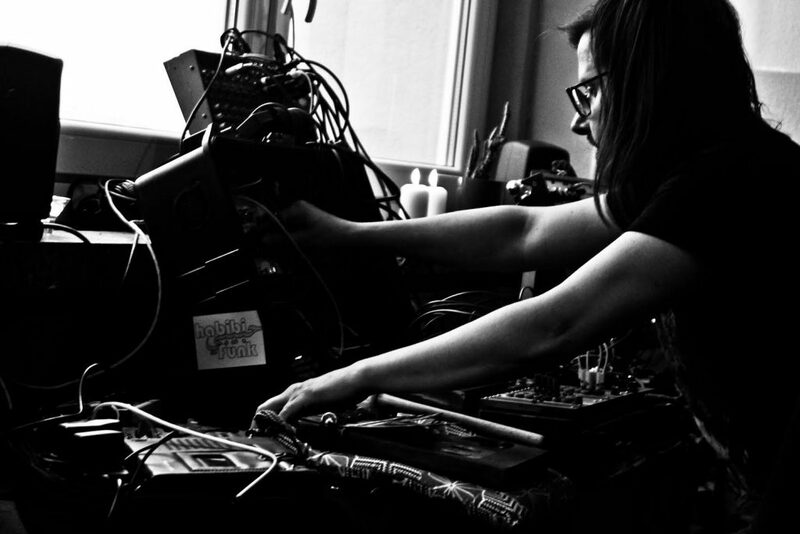 Hainbach is an electronic musician from Berlin. His latest release is Acosta, a 12“ on Marionette with Kilchhofer. His next release is „On Endless Beach“ on Gohan Tapes in June. 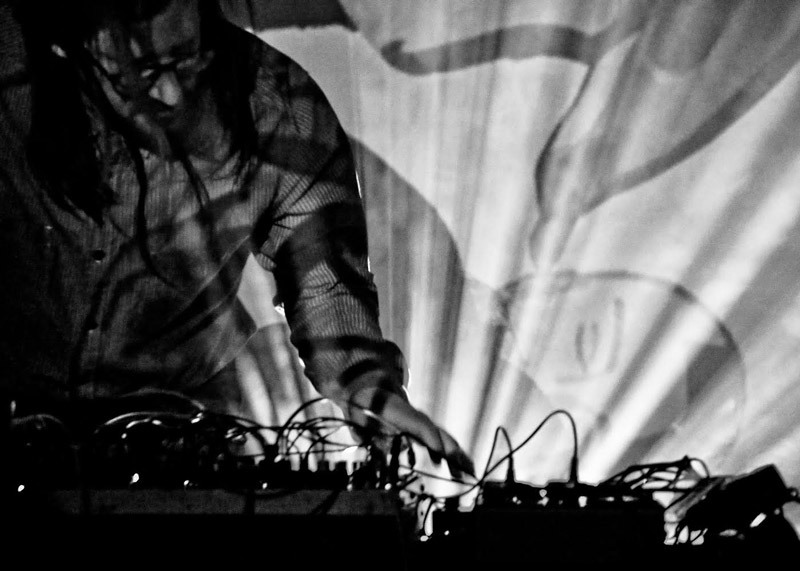 Besides making music with patch cables and tape, he scores theatre plays, films, games, perform live and co-organizes the modular live shows Basic Electricity and the Berlin chapter of the Powwow streaming series.